Even if a time comes when you are convinced that you have seen it all, things could take an unexpected turn and you could stumble across a source of things that you haven’t seen before! This would actually be a good thing, because nobody would be happy if nothing could surprise them anymore. It would be really boring to know everything. The human mind needs to be fed constantly! 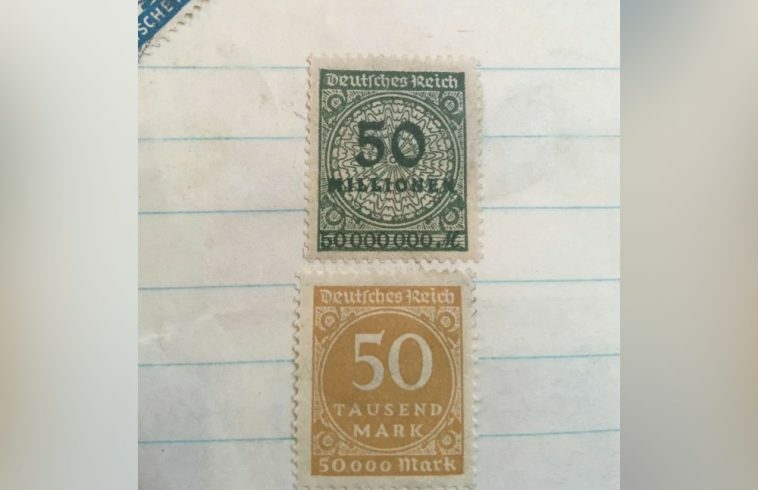 Learning new things, like the ridiculous denomination of the German marks above, is always a good thing! This is why lists like the one below exist. Enjoy it! It seems that fishermen’s lives are not as straightforward as some people might think. The reason for that is the fact that they are able to catch a lot of different things besides fish! 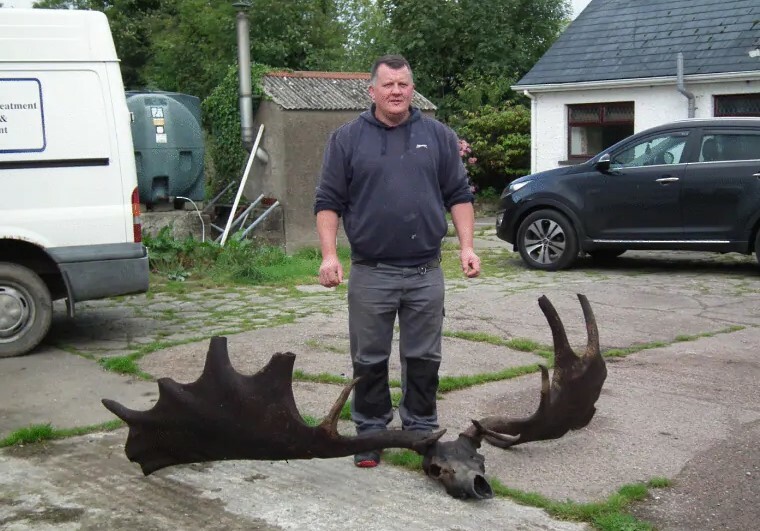 This Irish fisherman found something that is really unbelievable. The rack you see in the picture is from an Irish Elk and it is 10,000 years old! The unbelievable find is really cool! We haven’t seen anything like that before and this man probably feels really lucky to find this rack. What you are actually looking at here is a mineral! 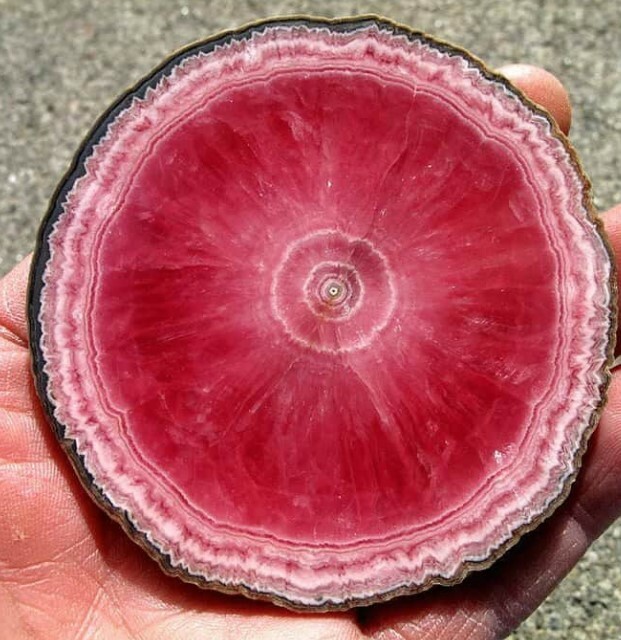 The beautiful scarlet piece is called rhodochrosite and it is nothing like we have ever seen before. There are other interesting things about the mineral except its color. The beautiful shape of it and the rings you see make it look like a tree trunk. The pattern is similar because this mineral actually forms over the course of many years. It is gradually built like a stalactite. We have all seen the consequences of a strong earthquake. Unfortunately these natural disasters often cause casualties and a lot of damage to the infrastructure. However, it is quite a rare thing to be able to fully compare the damage an earthquake can cause to the landscape. 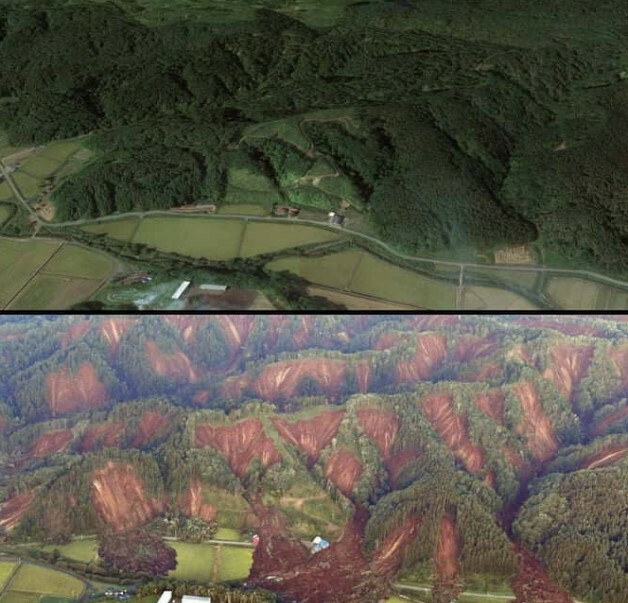 These two photos were taken before and after an earthquake hit the area of Hokkaido in Japan. As you can see, a number of landslides were triggered and they completely reshaped the landscape. Modern art is a complicated thing and some works of art are not easy to understand. It is far easier when there is a certain message that the artist wants to send to everyone who sees their work of art. This photo shows one curious example of an art installation which provides valuable information by visualizing something. The different colors correspond to different social media platforms. 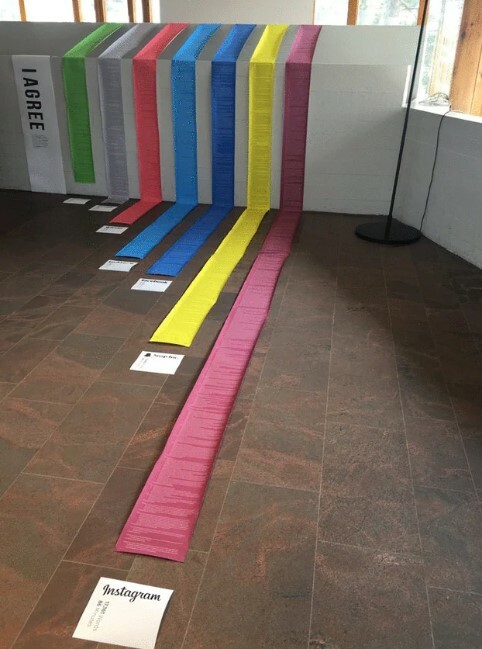 The different length of the lines shows the length of the terms and conditions section of each website which we blindly accept in most of the time. 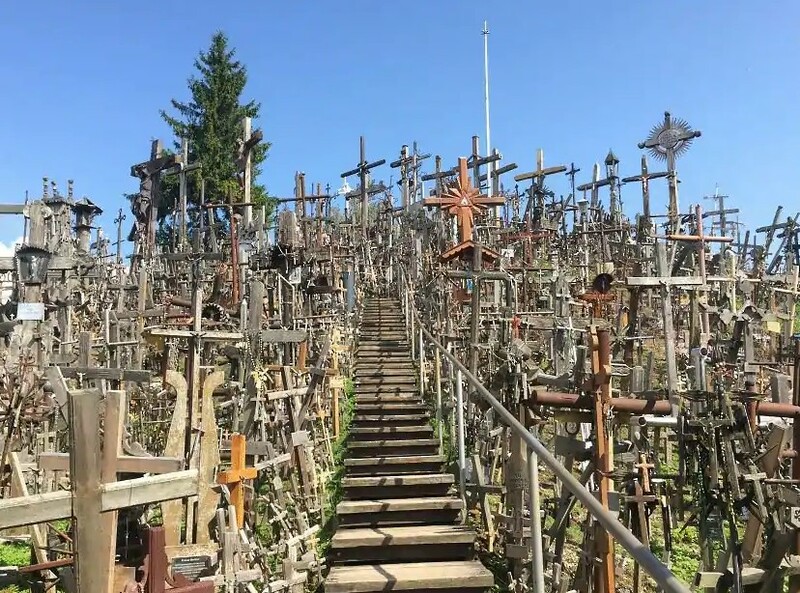 What you see in the picture is a place in Lithuania called the Hill of Crosses. The name is more than appropriate because there reportedly are more than 100,000 crucifixes on that hill! You can see how eerie this place looks like! The reason why people still continue to bring crucifixes to this place remains unknown. There are other religious symbols as well. Muslim and Jewish people also bring symbols of their religions to this place. 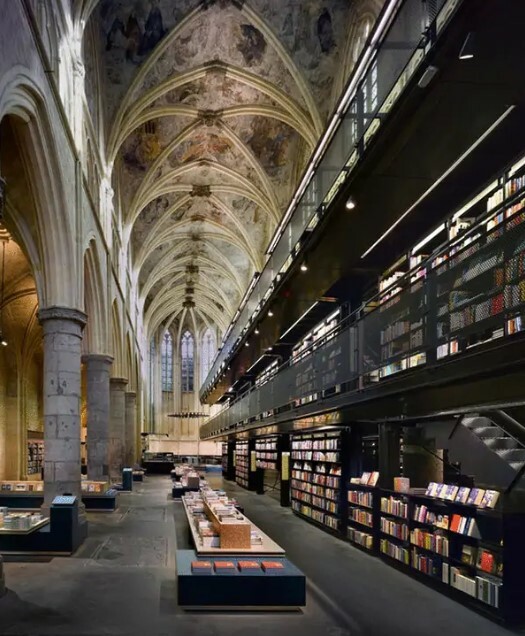 One Maastricht cathedral went through a lot of transformations throughout its 700-year life. As you can see in the photo above, its latest reincarnation is a stylish bookstore. The place looks stunning and we love the combination between modern design and architectural elements from centuries ago. It is admirable to see that people preserve historical places and bring them to life. This is the best way to make sure that a lot of people would be able to see the amazing cathedral. When you see a photo of a giraffe, the typical surroundings in the photo would look like a savannah landscape, right? Well, this is not always the case. 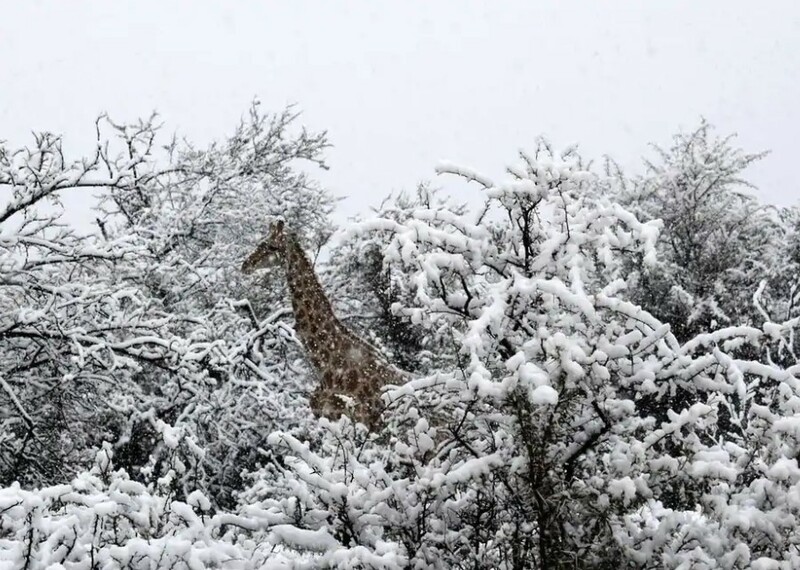 As you can clearly see, this giraffe is in the middle of a forest completely covered in snow! The awkward sight is extremely rare, because there is not much snowfall in Africa. Even when snow actually falls there, the temperatures would not let it last long. However, someone was able to take this amazing photo in the right moment. If you take just one quick look at this photo, all you would be able to see is a park with really well-maintained grass. However, you need to take a second look and you will probably notice that there are a few boats in the back! Yes, this is not a grass field. It is a canal completely covered in algae! 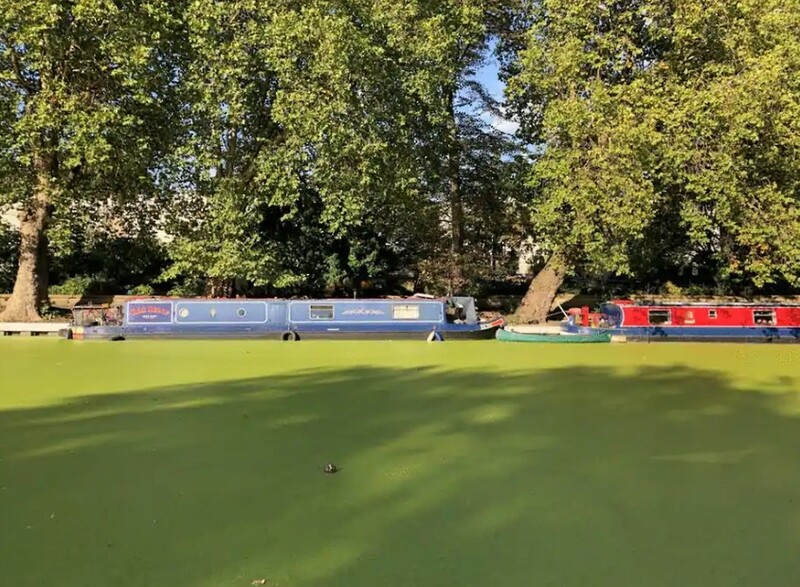 This is London’s Little Venice canal, and it looks stunning. The similarity to a grass field is huge, which is amazing. Sometimes people are able to come up with amazing ideas when they need to solve a problem. 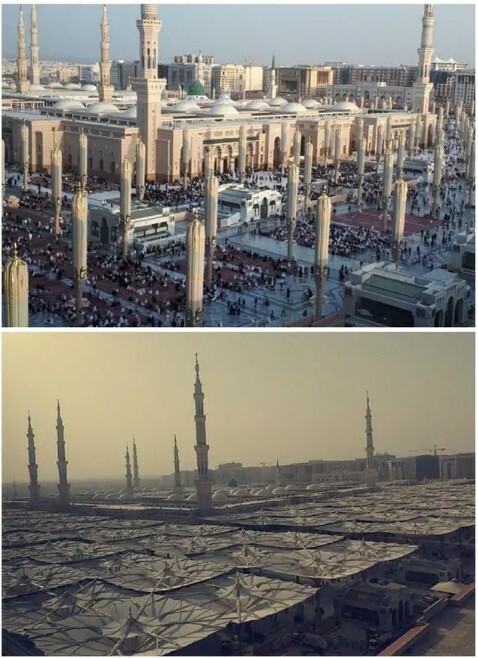 The example with the gigantic folding umbrellas outside the Prophet’s Mosque in Medina, Saudi Arabia is the best ways to show that! People realized that the pilgrims who gather around it would suffer from the heat of the sun and the high temperatures. They fixed the problem by installing the giant umbrellas which completely transform the landscape. 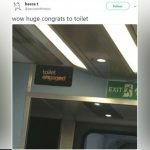 We guess that people were extremely grateful for this addition and it probably even saved some lives. Heat stroke is something really dangerous! If you have been to San Francisco or you live there, you know how magnificent the city is! However, it has come a long way in the last century! As you can see in the before and after images, the landscape is completely different! 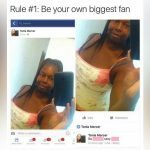 Both photos were taken from the same spot and they really speak for themselves! 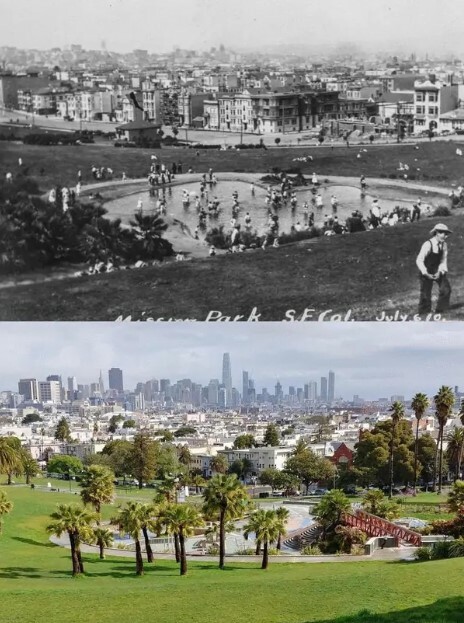 The difference is huge and the amazing part is that the city was reshaped in just over a hundred years. This is a proof of people’s skills and determination. 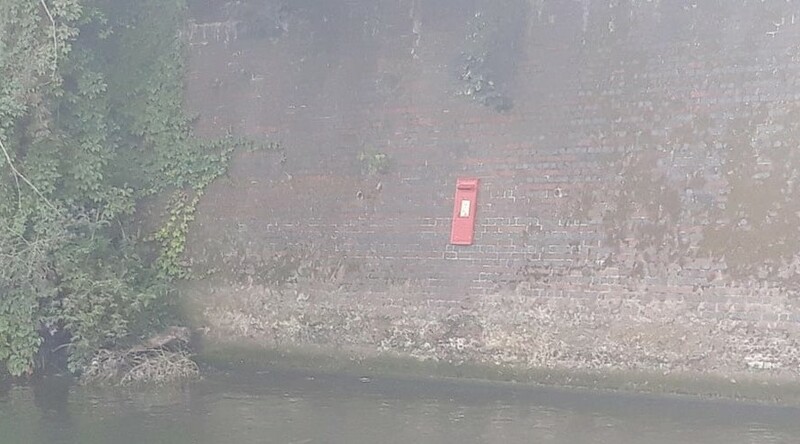 Imagine that you are out for a walk around Thames in a small boat and you suddenly see a mailbox on one of the walls alongside the river! This is exactly what happened here. Someone was really puzzled to see a mailbox in the last possible place you would imagine to spot one. Of course, the mailbox is not a functioning one. We are curious to find out who put it there and why. The most probable scenario is that someone did it as a joke. We need to admit that we see them for the first time, too! The pastel colors you see are mind-blowing! As it turned out, there is nothing unusual about the beans. It is a kind that everyone can plant and grow in their garden. 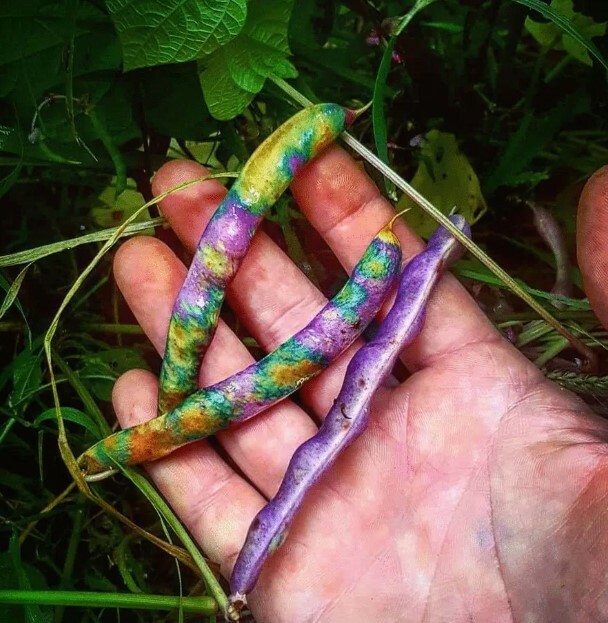 The beans are called Royalty Purple beans, which is a very appropriate name, indeed. They are edible, of course, and when you start cooking them, they actually turn green, which is amazing! It is always nice to see people putting their differences aside and working together towards a greater cause or finding the solution to a problem. This is why the following image is so powerful and brings instant joy! The image shows a group of Canadian firefighters and their American colleagues who met and formed a huge team! 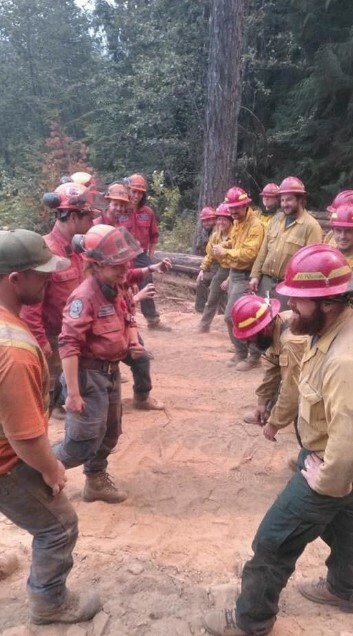 Their goal was to fight against the Horns Mountain Fire in Washington State. With their powers combined no fire would stand a chance! Everyone looks happy to be there and they were probably honored to be part of such a great team. Sometimes a simple walk around nature can reveal amazing things! As you can see, the photo shows a small rock that appears to be glowing! The amazing phenomenon was spotted by a man named Erik Rintamaki from Michigan. 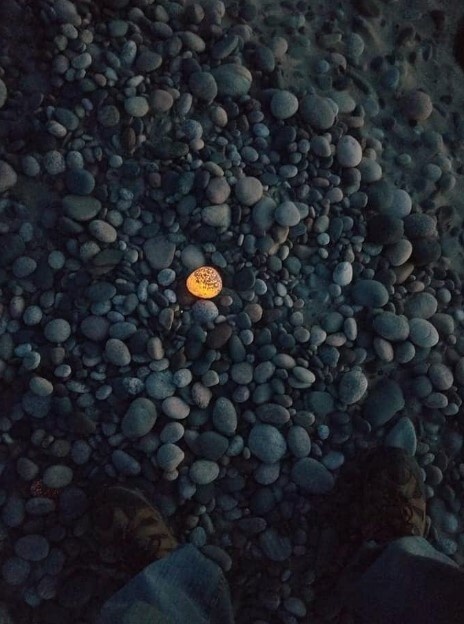 He was walking on one of Lake Superior’s beaches last year when he found this rock. The weird part is that there were several other rocks, too. We have no idea what caused the stones to glow but they look enchanting. Photos which compare different things or events are among our favorite kinds! As you can see, this image shows two identical items. 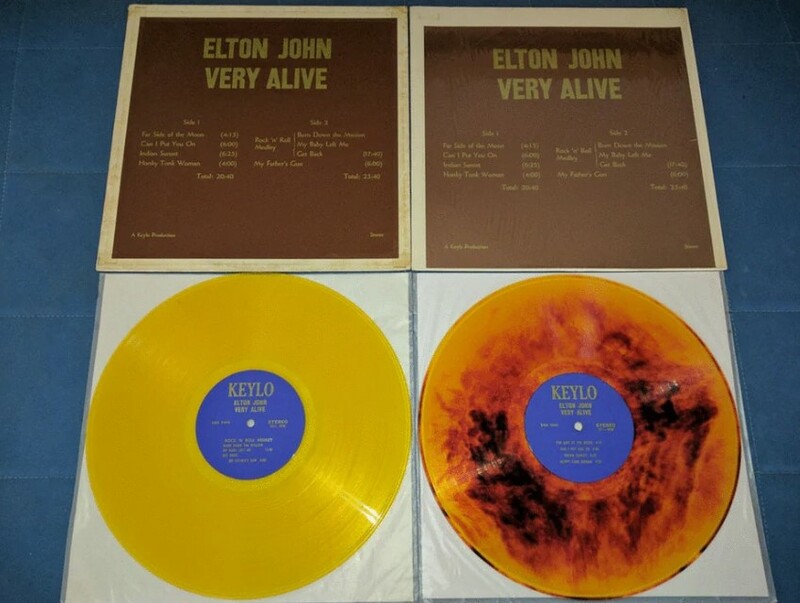 They are two copies of the same Elton John album, released nearly half a century ago. However, there is a huge difference between the two records! The one on the left was perfectly preserved while the other lost most of the coloring of the vinyl! This is a definitive proof that time has no mercy at all.